Ensure your two-year-old gets a balanced diet. Follow this simple meal plan! As your toddler steps into his third year, he needs a variety of foods from all food groups to meet the needs of his fast-developing body. Two-year-olds show a marked increase in their vocabulary every day. They also try out new physical skills such as running, climbing, kicking a ball etc. Never use food as a means of reward or punishment. Continue reading for a nutritious non-vegetarian meal plan! The quantities of food consumed may vary according to the gender, activity and weight of the toddler. 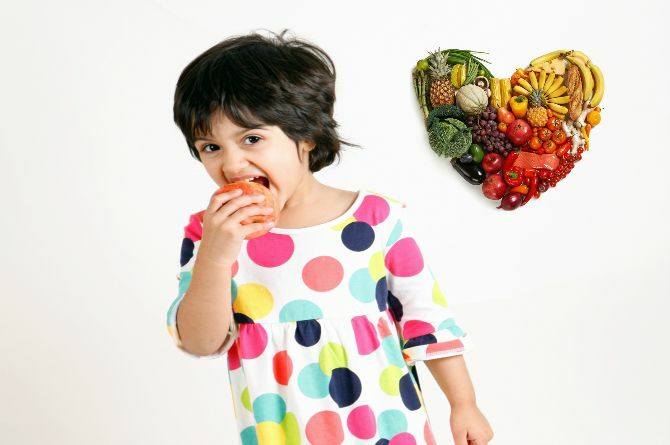 Some days your child may seem to eat less than before – that's perfectly normal at this stage. Getting him to eat everything on this chart may be a challenge. But don’t get disheartened and do NOT force feed the child. As adults, even we have our good days and bad ones, don’t we? If you have any questions regarding this food chart? Please share in the Comment box below. Baby emergencies: Are you equipped to deal with them?